Spincast reels have been stereotyped as products for amateurs. As such, it is common to find these tools being presented to even children as birthday presents. 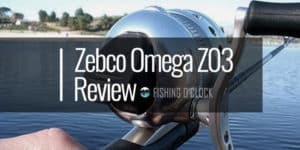 More specifically, these tools rank third with respect to the preference of bass anglers. The main reason behind this could be the fact that bass angles require robust and sturdy equipment that is able to handle the vigor of the activity. However, manufacturers such as Pflueger seem to understand their consumers well and are quite responsive to the consumers’ needs. 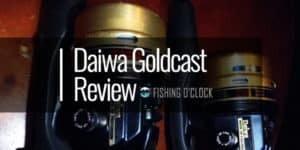 Their Pflueger President Spincast is a unique product that possesses numerous features that suit both the beginners and even the more professional fishers (such as anglers). Below is a breakdown of this spincast reel with respect to its pros and cons. Pflueger is a company that is well aware of the diversity that comes with consumers. In this light, this company has invested quite a lot in its President Spincast Reel. The product comes in 3 reel models. The reels are strategically placed to facilitate the overall efficiency and productivity. There exists a larger reel which is placed on the rod. On the other hand, the other two reels possess the same spool sizes. However, one is specialized as an underspin. It is therefore placed beneath the rod of the product with a letter ‘U’ imprinted on it. The 3 reels are PRES6USCX, PRES10SCX, and the PRES6SCX. The 3 Pflueger President Spincast models come with dual titanium pins. These pins ensure that as they pick up the line, it is protected. This, in turn, facilitates good performance and that the product lasts for long. A point worth noting here is that during your purchase, make sure you get the company’s President Models as the rest from the company to have only one pin. Many fishers will shun spinning cast reels as they tend to last only a short period and then they snap. However, since Pflueger had even anglers in mind, their President Spincast Models have been made from durable aluminum. This is precisely at the frame and cone of the products. While the aluminum offers perfect resistance to rust, it leaves the fishing reel with a crisp and ergonomic look. You are therefore guaranteed to have the product assist you in your fishing activities for the longest time. There is also a rubber knob which facilitates good grip. It is able to contribute to the comfort of the fisher as well as giving the product a complete look. The products from this company are also quite lightweight. For instance, the Pflueger President Model weighs approximately 11 ounces. Pflueger has included an instant reverse function in the President models. This provides for perfect hook settings in such a way that if this function is at play, the setting falls to the next calibration. Still, on the flexibility, there exists a drag dial that sits next to the bail button. There exists a bearing ball system (5) which makes the retrieval process flawless. 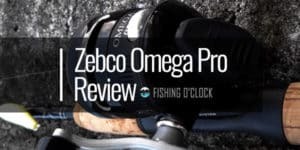 Pflueger state that this feature improves the overall performance of the reel. 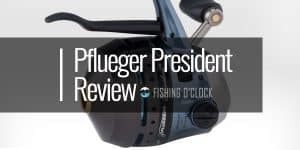 Consumer reviews indicate that compared to other products available in the market, the Pflueger President Spincast Fishing Reel beats them all thanks to the bearing system. It is therefore evident that you get the best tool that is bound to serve you in the best way possible. While this product has been praised for its top performance, you are bound to replace the line multiple times especially if you are a beginner. However, over time, this should not be a problem as you will understand the full functionality of buttons such as the bail button. A recommendation, in this case, is to carefully read the detailed manual that comes with the product. It will ensure that no/minimal mistakes are incurred. Pflueger states that their product beats all the others in the market at this range. However, it is worth noting that while their product will be perfect even for the medium species, it will be limited when it comes to the large species. The design and even casting distance limits this product. A recommendation here is to use the product for the small to medium games. Don’t forget to check out our comprehensive guide to choosing a spincast reel. The pros of this product supersede the cons. This is because if you purchase it, you will enjoy the large degree of flexibility, cool design and even comfortability it comes with. It is also bound to last for long, relieving you of related issues. The cons are within the realms of the spincast reels, and it is evident they can be dealt with efficiently. Make sure to get this product so as to redefine your fishing experiences.